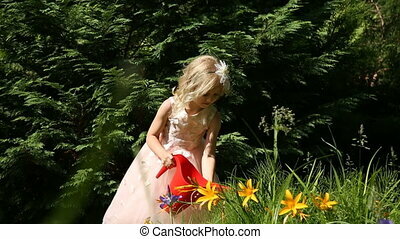 Kid enjoying summer outdoor of house. 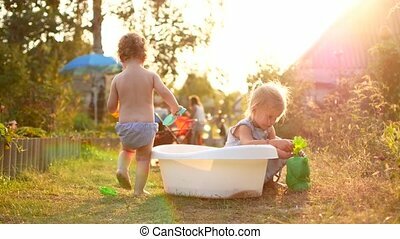 Boy playing in the pool. 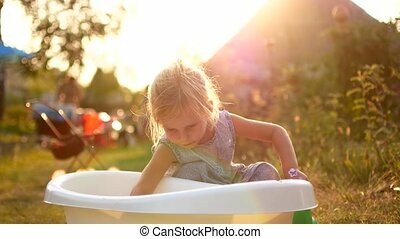 Child enjoys summer playing in the water at the backyard. 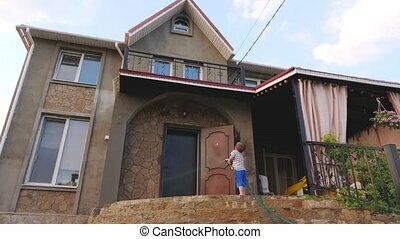 Boy having fun in the pool near private house. Pool on backyard of house. House with backyard. Yard with swimming pool. 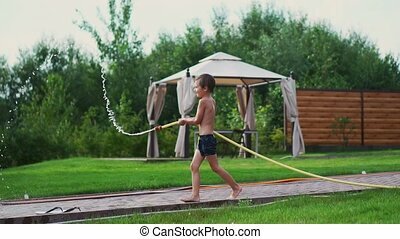 Boy in the backyard of a country house in the summer relax playing with water hose. 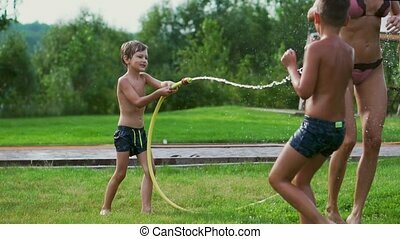 Games with water hose. 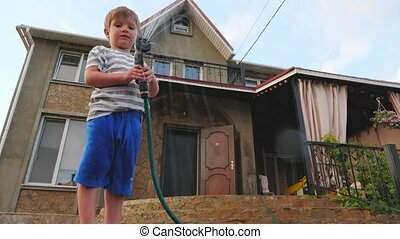 Boy playing with water hose in the backyard of a country house in the summer. 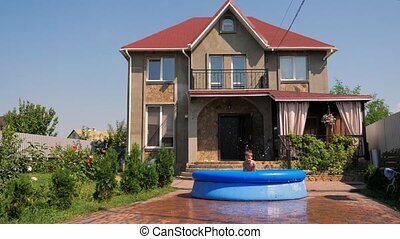 Swimming pool on backyard of house. House with backyard. Yard with swimming pool. 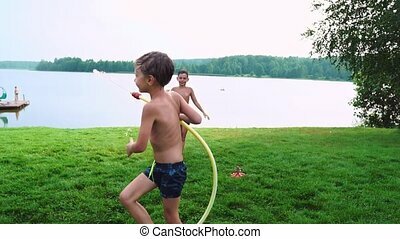 Summer water games at frontyard. 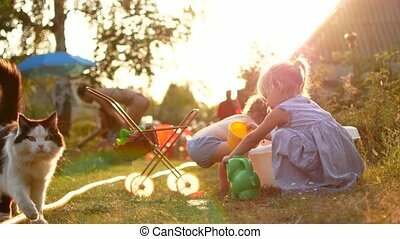 Happy cheerful children playing with water in summer vacation. 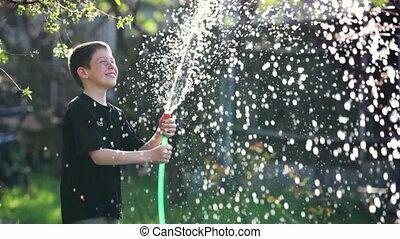 Cute adorable smiling children spraying with a garden hose in the back yard. Close up. 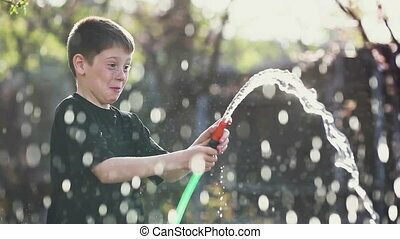 Boy 9 years old with freckles on his face happily playing with water from a garden hose. 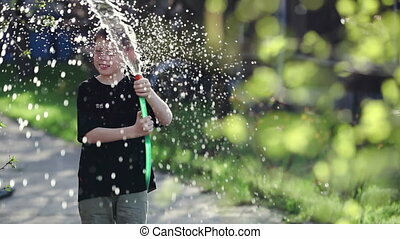 The rays of the sun, water spray. 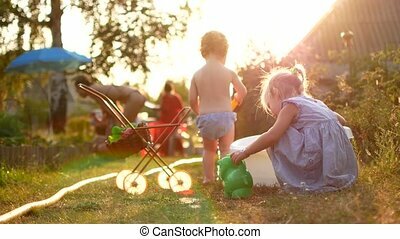 The two boys are playing with mom and dad in the backyard of their house drenching with hose water and laughing and smiling in slow motion. Happy family. 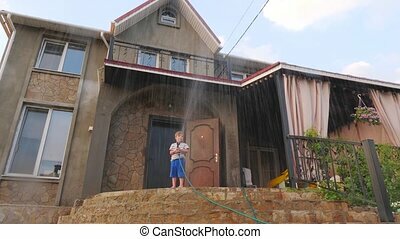 Mother and father playing with children on the lawn of the house pouring water from a hose.